For healthy soft and shining skin, you might have spent lot of money on cheap lotions and creams. But that’s not the way to maintain your skin healthy. Think before you buy best creams and lotions. There is also another way to keep your skin soft, i.e. simple home remedies. Everybody knows yogurt/curd is always good for health. This is not only good for health but also best for skin. So, now you learn about simple home remedies with Yogurt for Skin care. There are powerful nutrients present in the yogurt for glowing skin. Lactic acid is one such among nutrient which contains zinc and some other vital minerals that are very necessary in sculpting the health skin. 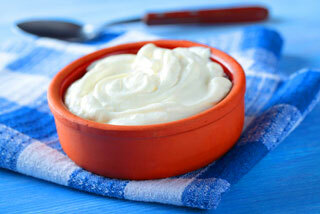 Yogurt has natural moisturizer properties which help your dry skin with in short while. To hydrate your dry skin, apply yogurt on face, hands, legs and body. Allow it to be for about twenty minutes. Now wash your face with normal water. Take one tbsp. of yogurt and one tbsp. of honey in a bowl mix them well. Then apply the mixture on skin. To moisturize the skin, this method will help you better way. Take three tbsp. of oatmeal and two tbsp. of yogurt in a bowl and mix them well. Spread the mixture on face and rub for few minutes. Use lukewarm water to wash your face. Combine two tbsp. of yogurt with rice flour and scrub the paste on attacked areas. To rejuvenate the dull and dry skin, this is the wonderful solution. Blend two tbsp. of yogurt and equal amount of orange peel powder in a bowl and mix well them to form a mixture. Gently scrub on your face and retain it to for fifteen minutes. Rinse off in the circular motion. If you want blemish free skin, you can make this scrub that will definitely work out. Already mentioned above, yogurt helps the skin form acne and pimple because that contains zinc and other minerals. Yogurt has astringent property which helps to minimize the acne to reduce the pimples. So, apply the yogurt over the area of acne. Other skin issues such as rashes, burns, blackheads and acne will be treated by this remedy. Take three tbsp. of yogurt and add it with two tbsp. of banana paste. To them, add one tbsp. of smashed avocado and grind them well to get rid of the lumps. Spread the paste on the face and sit back for about twenty five minutes. Pat with a soft cloth after rinse off the face. 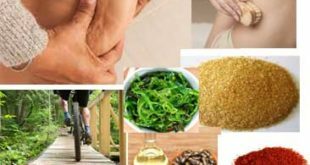 With the help of this remedy, you can avoid the aging skin issues.